18 January saw Kuber hold its inaugural ‘Meet the Managers’ investment seminar at London’s Glaziers Hall, home to The Worshipful Company of Glaziers, The Worshipful Company of Scientific Instrument Makers and The Worshipful Company of Launderers. At the heart of the ‘Meet the Managers’ seminar was the key thought from Aristotle that ‘the whole is greater than the sum of its parts. The seminar enabled 12 managers to showcase a collective strength and depth covering a multitude of different industries and sectors. A world of diversification in one place representing a huge opportunity for Advisers to get their due diligence underway. The participating managers included, Atlantic Screen Scores, Blackfinch, Boundary Capital, CHF Entertainment, Deepbridge, EIP, Goldfinch, Guinness, Kin Capital, Seed Mentors, Marechale/Odexia and Symvan Capital. 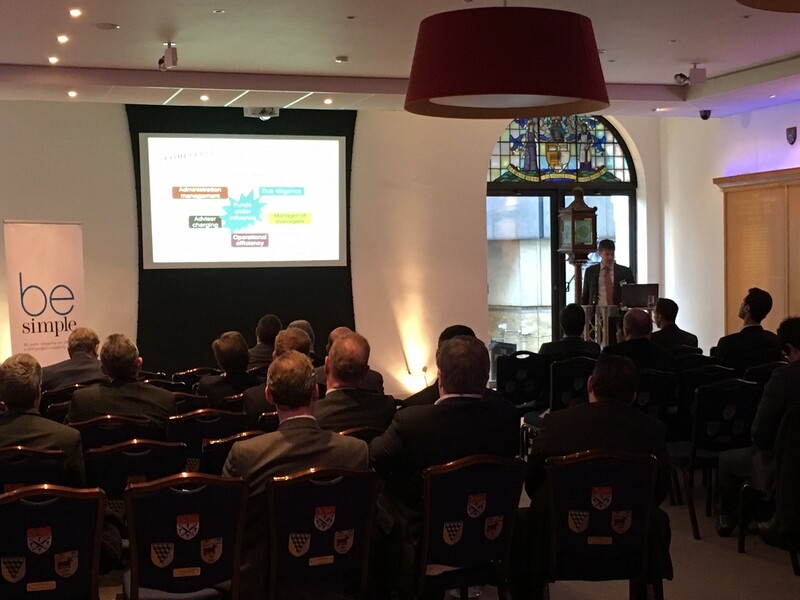 With a full agenda, the fund managers started with 12 well timed 5-minute elevator pitches, these were followed by a series of in depth fund manager presentations while advisers were able to meet on a 1-2-1 basis with the Fund managers of their choice. Proceedings were brought to a close with a key note speech from Mark Brownridge, Director General of EISA, who highlighted the growing importance of EIS/SEIS products and growth in the size of the market. Feedback on the day was hugely positive from the attending advisers and we certainly look forward to organising future events of this nature as they will no doubt contribute to the growth of EIS/SEIS market.